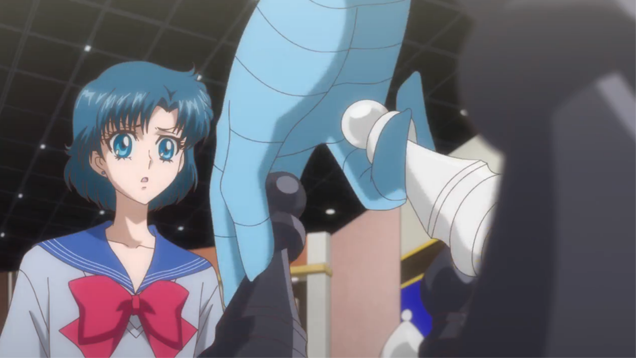 So this weeks episode of Sailor Moon Crystal had us meeting another one of the Spectre Sisters. 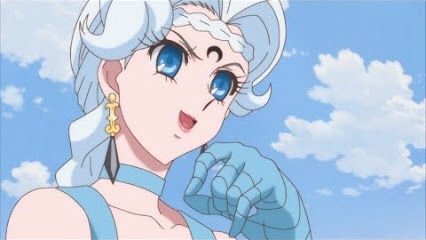 This time we meet Berthier and she and the Black Moon Clan are after Ami. Now this episode and this arc overall I’m really enjoying since it’s finally letting us get to know all of the scouts individually which we didn’t get during the first arc. 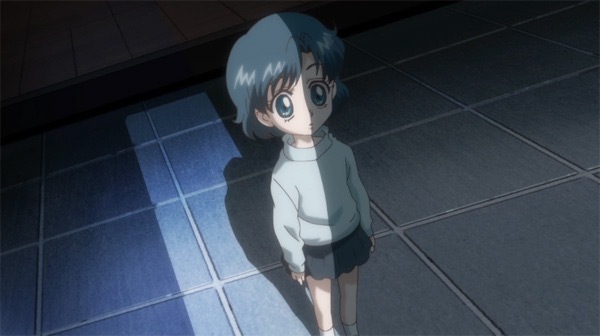 With this episode we got to know a little bit more about Ami and her past concerning her parents. We also got to know about what one of her fears are which was definitely good to see. I will definitely say that the cutest moment in this series was when Mamoru let Chibiusa rest at his place after he and Luna find her and he is holding her hand. That was such a sweet moment that was ultimately kind of ruined by what I deem a corny moment. 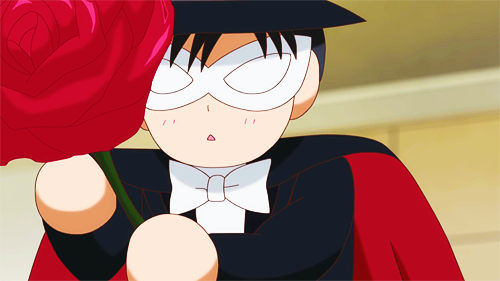 Mamoru and that crazy puppet made me laugh but at the same moment I was cringing. The most epic moment for me that I really liked was the chess match between Berthier and Ami. It was cool since there was two mental matches going on. One with the chess game and the other with the mental match the Berthier is playing with Ami. I would have to definitely give this episode a 9 out of 10. I absolutely loved this episode and can’t wait to see what happens next. But what did everyone else think of this episode? Comment down below and let me know.